After out stay in the Etihad Arrival lounge in Abu Dhabi we headed to our hotel. 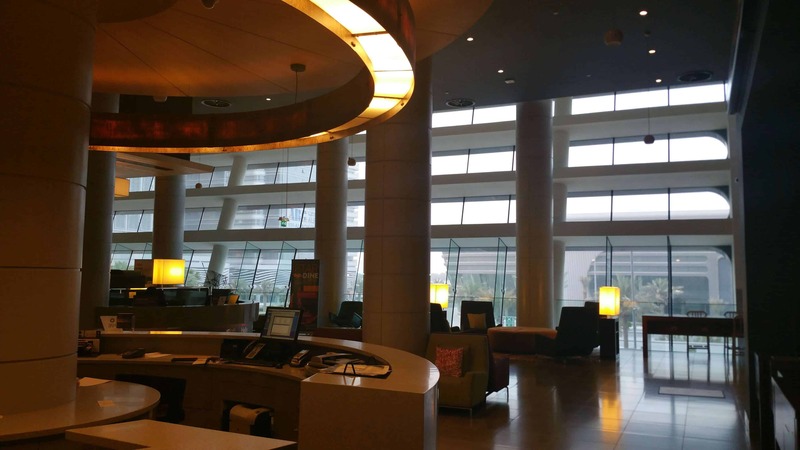 Usually we stay at the Hyatt Capital Gate but this time I had booked the Aloft hotel because it was a very cheap deal and I needed a night with Starwood. I booked this hotel for only £35 for the night and it was a perfect base for us since we didn’t spend more than 5 hours in the room. 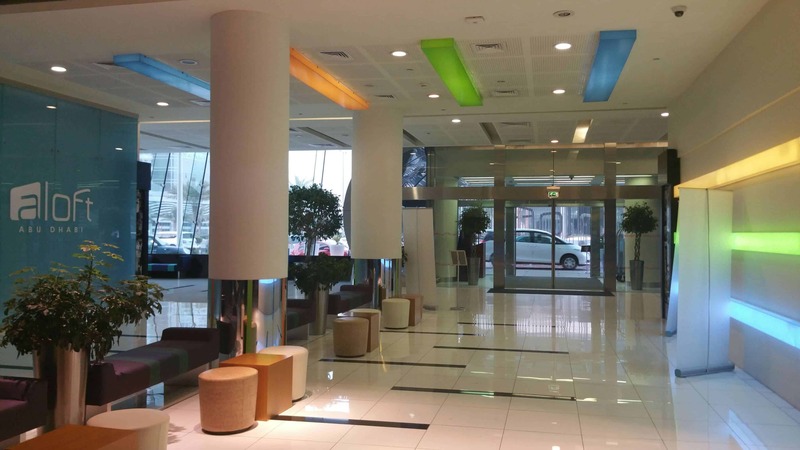 Aloft hotel is just behind the ADNEC building which is Abu Dhabi’s exhibition centre. 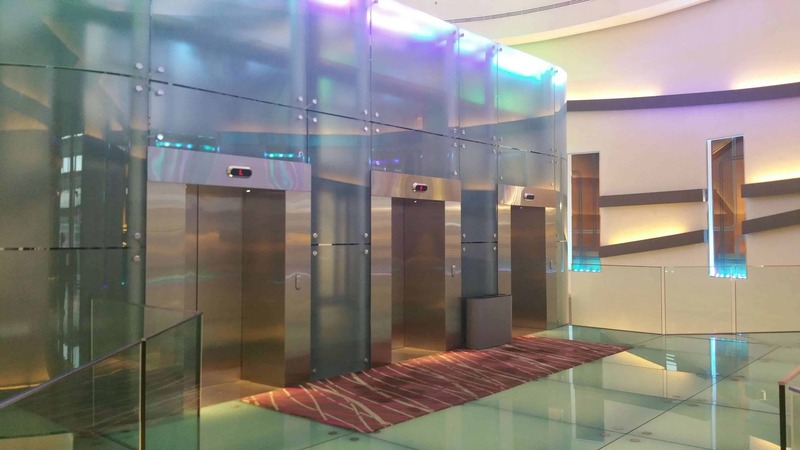 You will need to take the elevator to the reception which is located on the first floor. When we were there they had a Souq market during the last 10 nights in Ramadan and there was quite a lot of traffic. 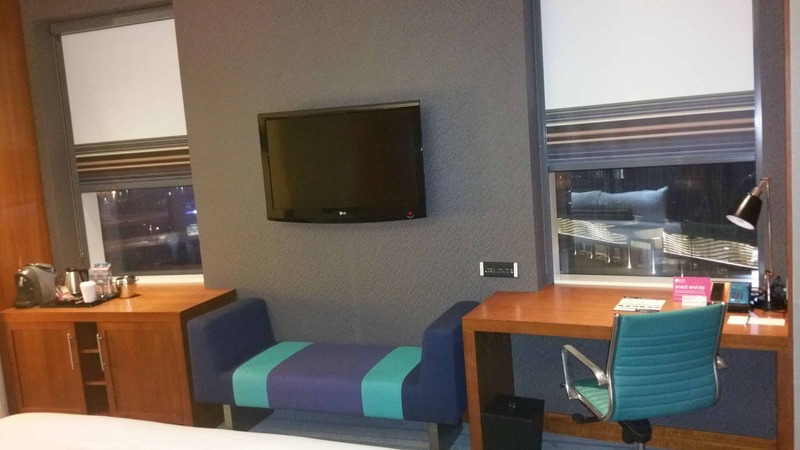 The property style is exactly the same as any Aloft hotel in the world, same design and you know exactly what to expect. As this is a hip hotel mostly young travellers would be the main clientele. I am a Starwood Gold member and upon check in I was given a drink voucher for the bar / snack area. Our room was upgraded to a deluxe room and it had a couch and a seating area as well. We had a view of the ADNEC which is basically a front facing room. 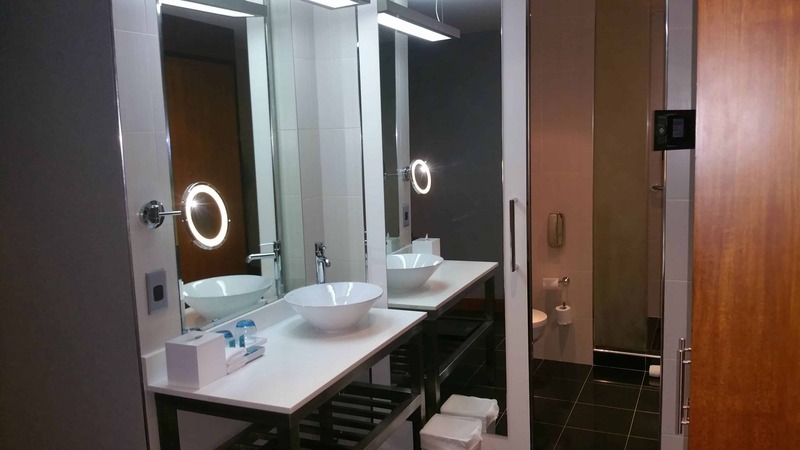 One thing I am really disappointed with is the new design hotels where the bathroom door doesn’t close properly. 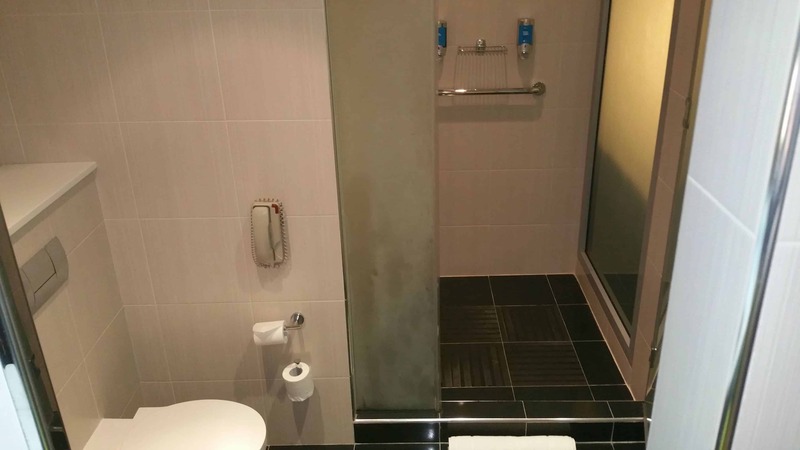 I am not sure if it is only me but I don’t like the designs of hotels where you can see the bathroom and the door doesn’t close. Unless most people stay at hotels alone, as a family or a couple I would like some privacy. I don’t mind the sink being outside but a proper door would be appreciated. I think this will be one reason why I wouldn’t book such a hotel again and I always check hotel photos to make sure there is proper privacy. Like in our Radisson Blu hotel in Zurich where the shower was glass overlooking the room. 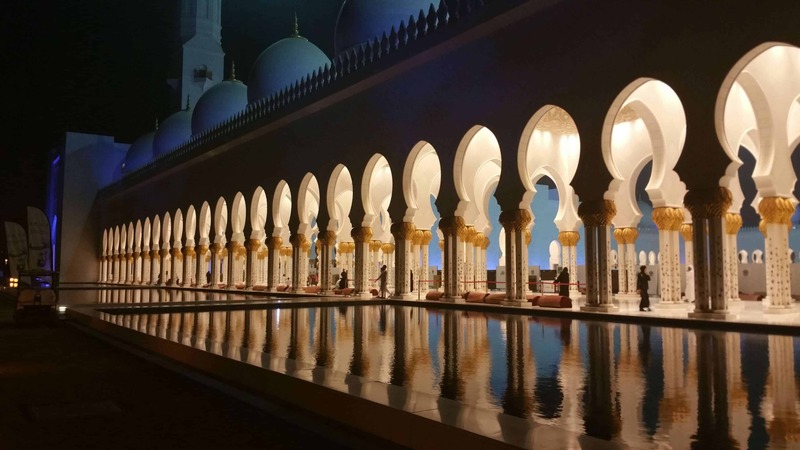 We arrived in our hotel at 9pm and we were meeting a friend in the Sheikh Zayed mosque at 11pm. Since it was the last 10 nights of Ramadan I always wanted to pray in the beautiful mosque at night time. We left for the mosque at 10 pm so we can pray there before meeting in the new coffee area of the mosque. We came back in the hotel around 3am. No point of sleeping really since we had to leave for the airport at6am. We spent an hour in the restaurant area where we used our drink vouchers, had something to eat and got ready for the airport. 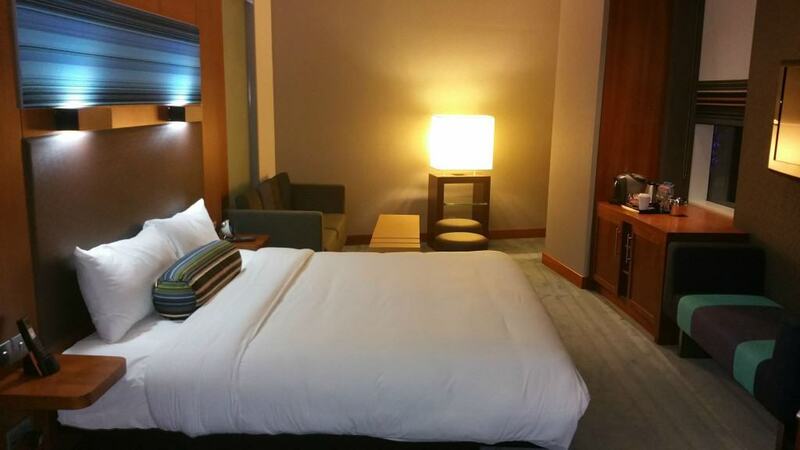 Overall the hotel is a new and nice property. 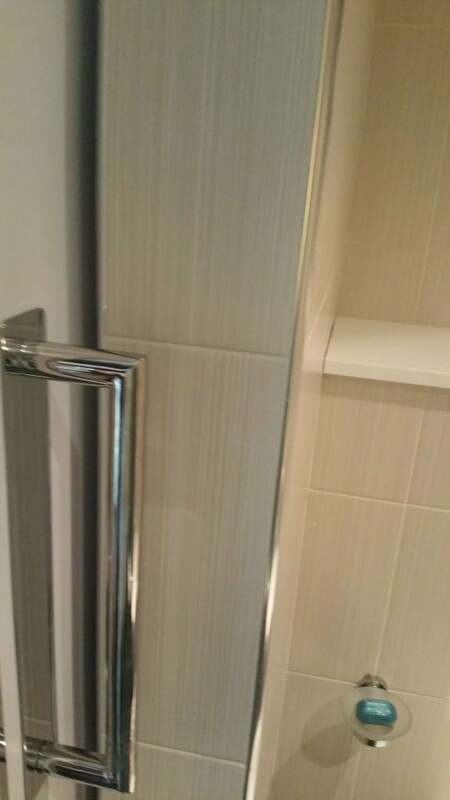 If you don’t mind the bathroom door being just a sliding door and not closing fully. During the summer it can be very cheap. As little as £35 which is what I paid which is an excellent deal. I would recommend the property for young couples or single travellers. 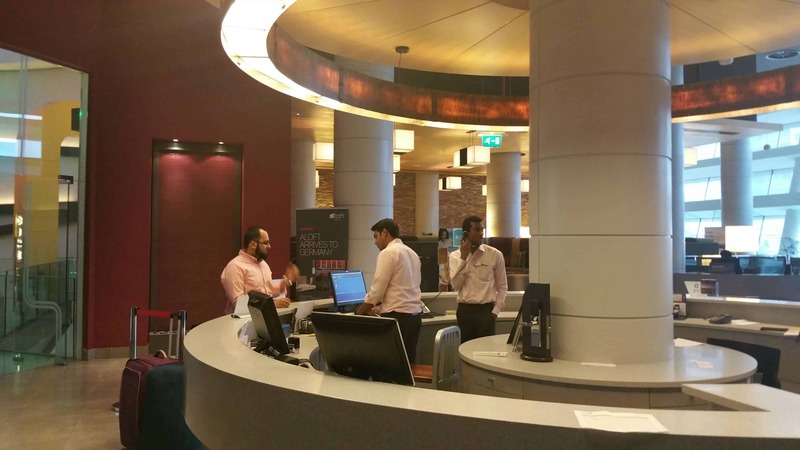 The staff were polite, it has a great location between the city and the Grand mosque and it is a nice base for exploring Abu Dhabi or an overnight stay as it is 15minutes to the airport as well. However still my favourite property in the area is the Hyatt Capital Gate and sometimes the price is not much different between the two properties.